When Filipinos think about Baybayin or the handicapped term Alibata, they think of a few things like the writing system that’s no longer used, backwards “mountain people”, the un-Christianized or an annoying thing they have to take in school. The art aspect of Baybayin isn’t really being discussed or thought of. Sure, we have tattoos but is it art if you merely select a generic font from the internet? The act of the tattooist putting the ink on your body is art but is the end product artistic? That’s up to you the individual to decide but I would think that nobody would ever think of using an Arial font for a tattoo. They would opt for some sort of calligraphy most likely. 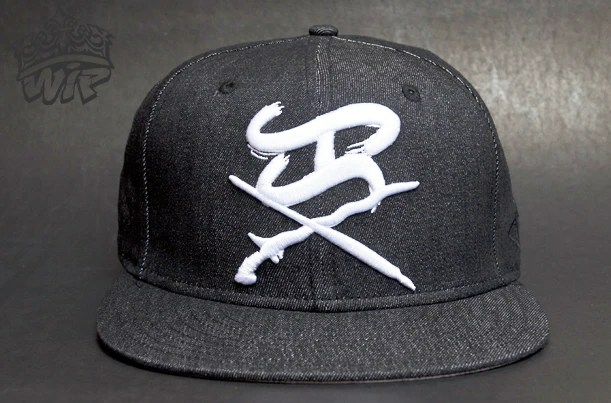 It’s time to introduce Baybayin as an artform. We need to move away from taking shapes from existing material that’s been around for hundreds of years. Baybayin used in art as an element has been around since the 70’s if not earlier but they were straight copies of those references. Paul Morrow has done so much for Baybayin by releasing his fonts over 10 years ago but now have become the “standard”. Artist’s individual styles are now graded against Morrow’s Tagalog Stylized font. It’s time to introduce Filipino Calligraphy that encompasses all indigenous and future writing systems from the so-called Philippines. Artists play an important if not more important part than academics in the promotion of Baybayin because it’s visual and digestible to the public. This is a concept I’ll be introducing at my event at the Asian Art Museum October 19-21. I will be writing a famous yet controversial saying from a Filipino hero on canvas 15′ long. 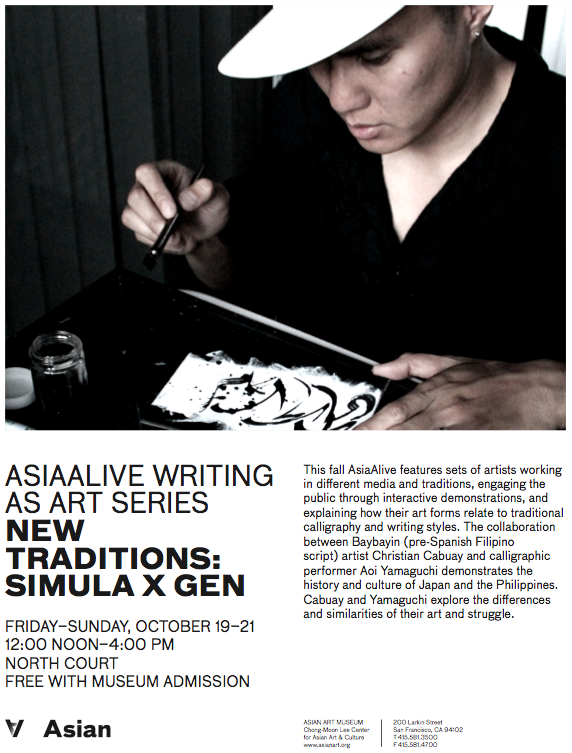 After the live art, I’ll be introducing Filipino Calligraphy to an audience of mostly non-Filipino artists, art academics and art lovers with a lecture.